Can You Match Paint Colors? Let's Review the Nix Mini Color Sensor! You are here: Home / DIY / Tips & Tools / Can You Match Paint Colors? Let’s Review the Nix Mini Color Sensor! Can You Match Paint Colors? Let’s Review the Nix Mini Color Sensor! 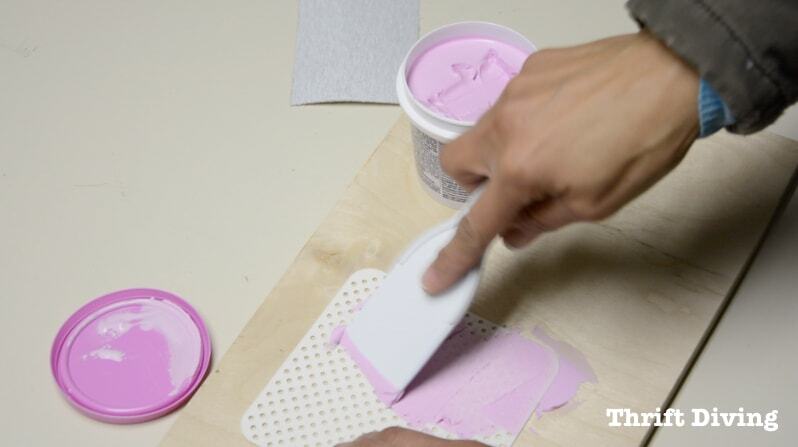 Watch the Video: Is It Easy to Match Paint Colors? 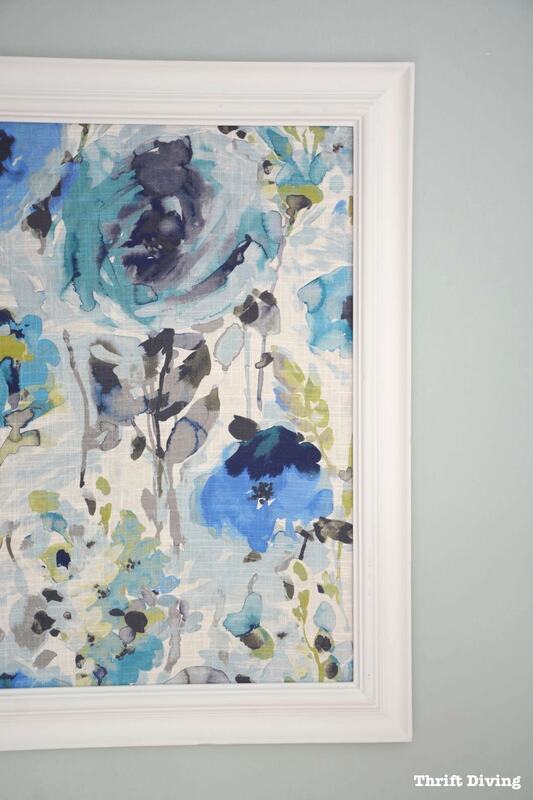 Several months ago I had framed this gorgeous fabric framed this gorgeous fabric and wanted to color match the pretty watercolor-like fabrics of the print. About that time, a company reached out to see if I’d be interested in testing out their consumer-level color sensor called the Nix Mini Color Sensor. As bloggers, we get inundated all the time from brands looking for us to test out their products. We can’t possibly say yes to everything! 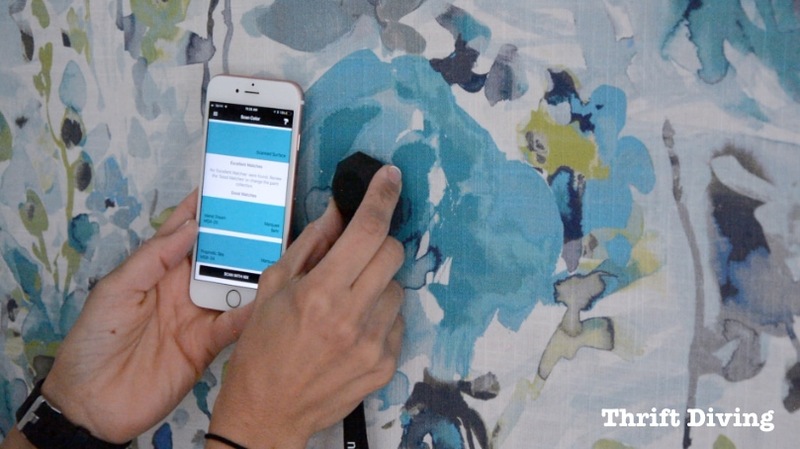 Its claim was that the sensor can scan any surface and find comparable paint colors across 17 brands of paint. …but I wanted to see if it would work for color matching existing paint colors right at home. 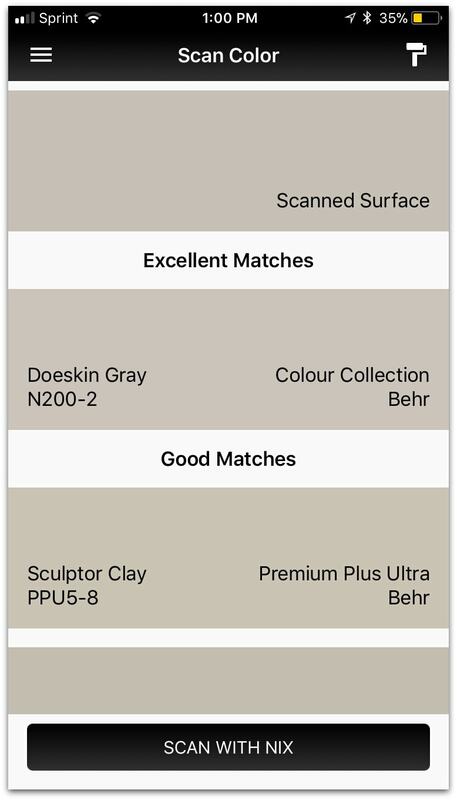 Typically what I’ve done before is take a paint sample to the home improvement store and have their sensors do a color match. But in this case, I didn’t have the sample of the wall color. And while I could have pulled off a piece to take it to the store for a color match, I really wanted to find out how well this color sensor could read the color. 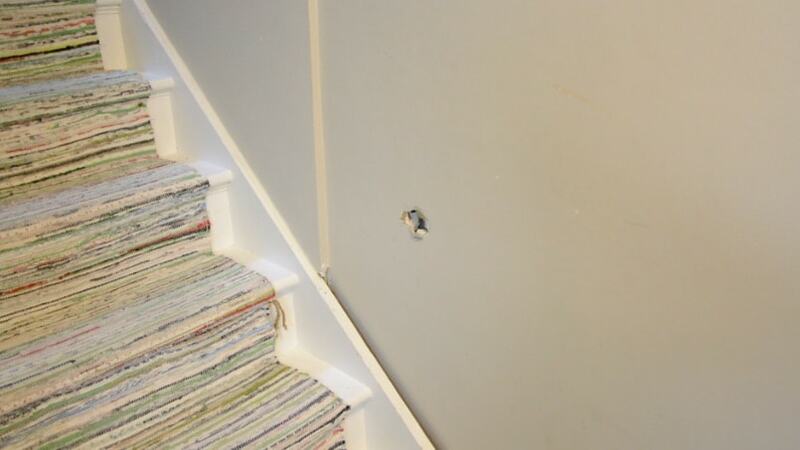 This ugly hole in my basement stairway happened when Ohene, my 7-year-old, stumbled down the stairs (thankfully, he wasn’t hurt) and his elbow went straight into the wall! I’m embarrassed to say that this hole had been here for almost a year, and every time guests would come over, I’d find myself apologizing for it, explaining my laziness with fixing it! So in today’s post, I wanted to share with you how I fixed this small hole in my wall while putting the Nix Mini Color Sensor to the test to see if it can accurately match the color of paint on my wall. And here’s how it looked when I was done. Keep reading to find out the pros….caveats….and final thoughts in this review about how it performed! Here’s what I used to fix the hole in my wall and to match the paint color. I don’t know if you can see it in the pictures, but my walls were filthy! It’s been about 4 years since I painted the basement so you can imagine how many kiddie prints were all over it. Be sure to wipe down the walls first before trying to match the paint color. The wall should be dry before scanning the color. The free app can be downloaded from the iTunes store or from Google Play. It only took a moment for it to connect with the color sensor when it was held next to the phone. To scan the wall color, I simply held the sensor on the wall (the sensor blocks all ambient light). With seconds it gave me some color matches. 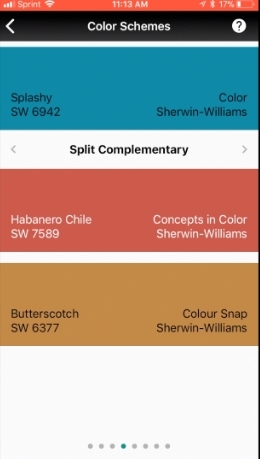 Because there are about 17 different libraries of brands of paint loaded onto the app, you’ll have to flip through each brand of paint to see its suggestions for that brand. I know for a fact this was Benjamin Moore paint, but couldn’t remember the name of the color. Plus, buying Benjamin Moore paint isn’t conveniently located near me, so I chose to match a Behr color which I can buy 15 minutes away. I decided to try Sculptor Clay. 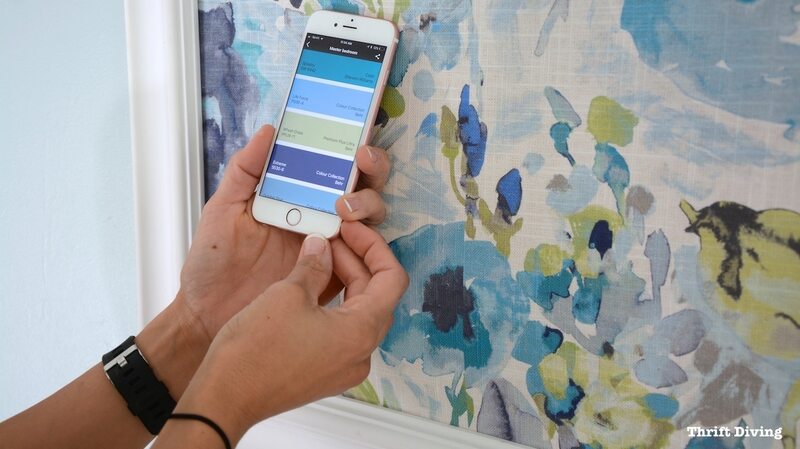 Typically you should select the “Excellent” choice based on the reading of the sensor gives (because over time paint can fade due to sunlight, so you’d likely want to choose a paint color based on what the color looks like now on your wall). One way of fixing holes in drywall, especially if you have to repair large holes in drywall (read this tutorial), is to cut out the drywall and replace it with a new piece of drywall. However, with holes this size, you can use a small patching kit for a few bucks. I followed the directions and slathered on the spackle on the back of the patch. I pressed the patch over the hole. 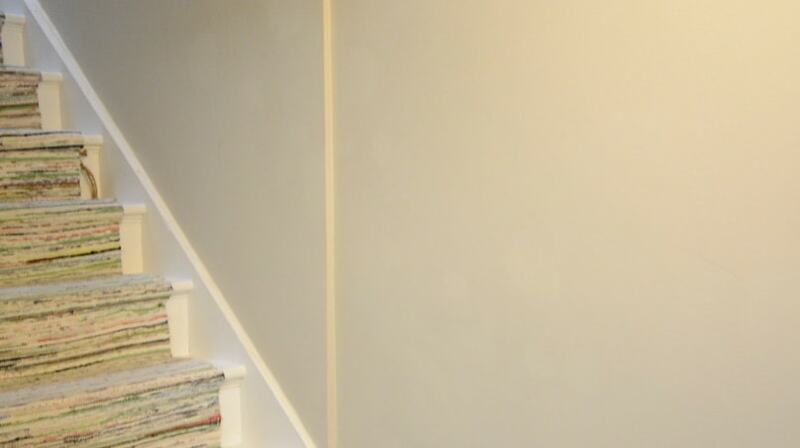 You have to fan it out at the edges so it’s easier to sand and smooth, to blend into the rest of the wall. Once the spackle was white (which meant it was dry), I could sand it smooth. Be sure to wear a mask! This was the moment of truth….would the paint be a good match or not? I applied the Scuptor Clay with a brush and let it dry to find out! Was It a Good Match?? The Results! Overall, while the results were pretty good (not a 100% match), the lighter spots are slightly visible on the wall, which could be due to a difference in sheen, application, etc. If you recall, I chose the “Good” match for the color scanned on my wall. I actually tested both the “Good” match and the “Excellent” match and found that the “Good” match of Sculptor Clay was the best match of the two (the “Excellent” match was even lighter). I will still have to re-paint this wall because the rest of the wall is filthy. However, this paint color match was a good temporary fix! I just had a birthday party for my youngest son, Kojo, who turned 6, and I wasn’t embarrassed to have people over since the wall was patched and painted! YAY! 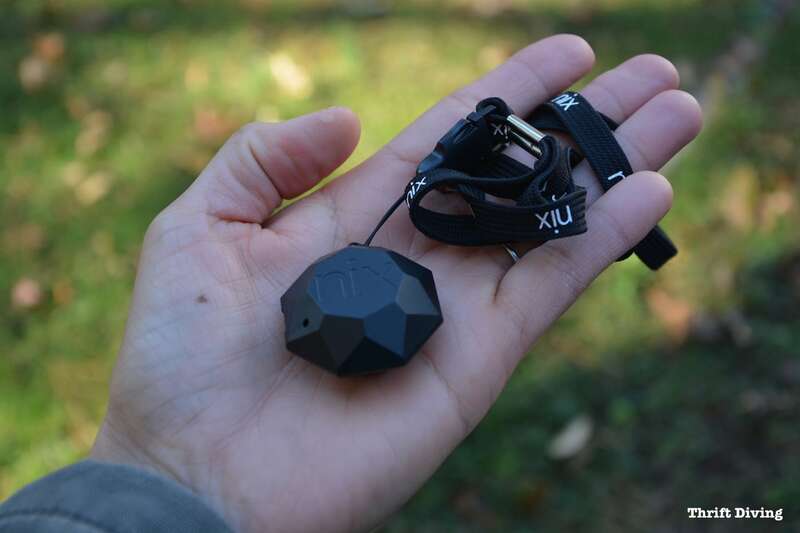 With this sensor, you don’t have to wonder anymore. The app will closely match it and allow you to save your match selections. Not only does it quickly sync up and match colors, but it also tells you what looks good with that scanned color! 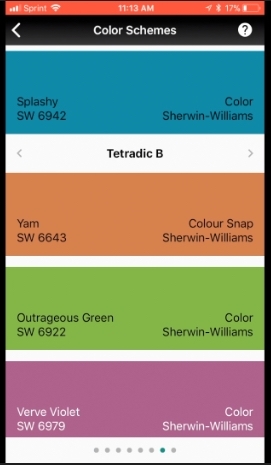 When I scanned the pretty turquoise in my favorite fabric, not only did it give me a Sherwin Williams “Splashy” match, but it also told me some other Sherwin Williams color schemes that looked nice. I love that feature of the sensor so much! I also like that it comes with a neck strap so you don’t lose it when using it when out and about! If the paint is worn or dirty. Sun and dirt can change the color of a paint so be sure to clean it thoroughly and let it dry before you scan it, along with keeping in mind that the color it picks up may be different than the color on your wall because of the fading. There are 17 paint libraries. When matching a paint color, you may be limited to the library you’re matching to. For example, my basement wall was painted with a Benjamin Moore paint. By selecting a different brand (Behr), I am limited in Behr colors. 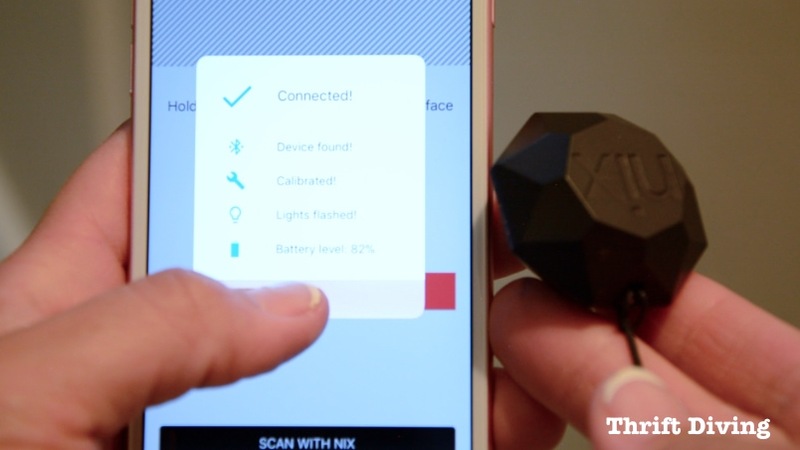 The Nix Mini Color Sensor will match for the library you’ve selected. It might be wise to check several libraries to see what colors the sensor will match in those paint libraries. Choose the same sheen. I forgot what the original sheen was on my wall and I may have gotten a different sheen. This can affect how the match appears. So try to choose the same sheen as your existing wall color. Use the same application. For best results, apply the color match the same manner. For example, if your wall is rolled on, use a roller to apply the color match. If you used a paintbrush, use a paintbrush to apply the color match. 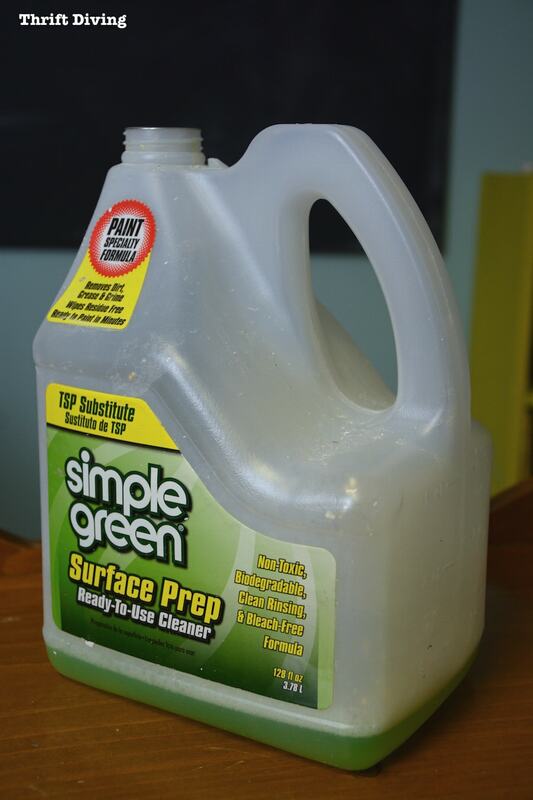 Yep, I definitely recommend it, as long as you understand the variables that must be taken into consideration when going for perfect color matches on existing paint. 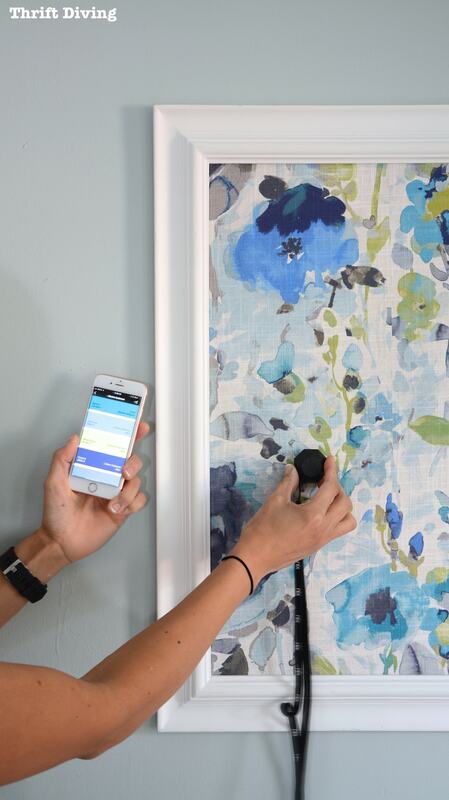 I adored this Nix Mini Color sensor especially when figuring out what colors were in my favorite framed fabric! 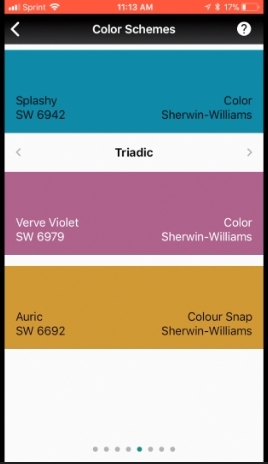 Within the app, I now have my scanned colors and matches and created my own library of colors for my bedroom. And the app tells me what looks good together, so I don’t have to play guessing games or stress myself out about color schemes for upcoming room makeovers! Genius!! Where Do You Buy the Nix Mini Color Sensor? Right now the Nix Mini Color Sensor is $71 (plus free shipping) on their website for the holidays but is regularly $99. You can also buy it you can buy it from Amazon for $71. 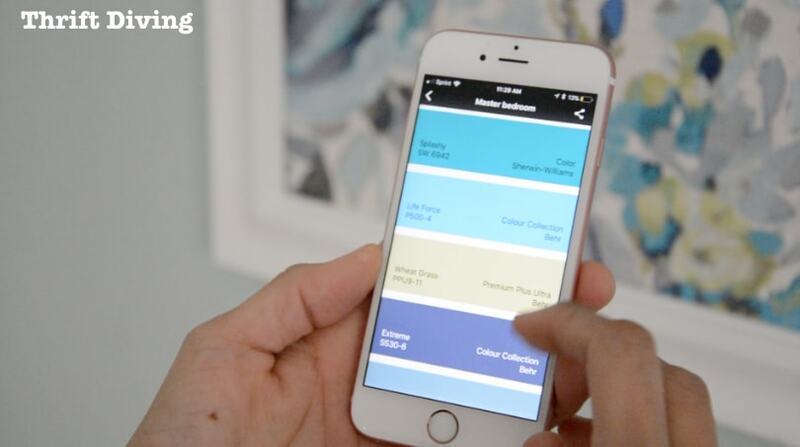 If you have trouble picking paint color combos, or know someone who struggles with this, this color sensor and app is the perfect gift for the holidays! If you often times see pretty colors when you’re out and about and you’d like to capture those colors quickly and easily, then you’ll find this sensor pretty valuable. I can tell you that I’m happy to have it be a part of my DIY toolkit! You’ll see more of it in upcoming room makeovers as I use it to help me design rooms. P.S. I’ll be giving 3 of these away to my 30-Day “Naughty or Nice” November Room Makeover Challengers! Woo hoo! 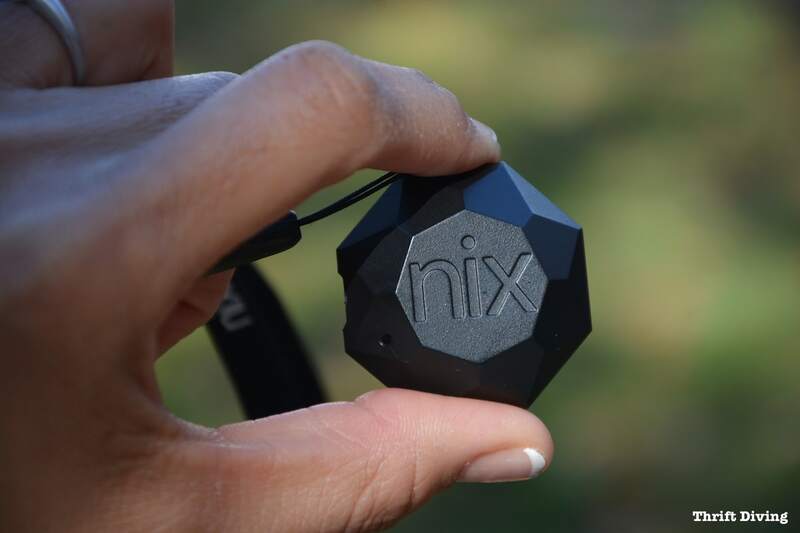 Would you buy the Nix Mini Color Sensor as a gift this season, for yourself or someone else? 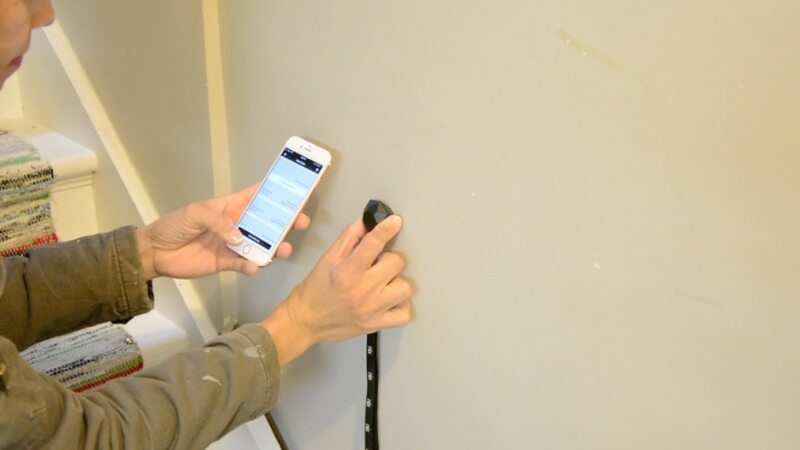 How would YOU use this sensor in your DIY and decorating? Leave your comments below and let’s talk about color scanning and matching! I usually have no problem mixing colors. I learned from my grandfather who was a professional painter. He even worked for the government. I will very often mix my own colors. If I do buy a color that is not right I find the colors I’m missing and finish the job. When you understand the color wheel it does help. I know not everyone is like me and I think that gizmo is great. Your work is pretty amazing and I have enjoyed you sight very much. Thank you for sharing. This is a wonderful tool! Can’t afford the splurge right now, but after the holiday season, I’d definitely be socking away for it. Yeah, it’s a nifty little tool! It’s well worth the cost. I think the after holiday sales in the device will still be going on! Hi, I saw you all weekend in the Duluth Trading Company commercials. You look amazing. I enjoy all of your reviews but I am definitely going to buy the NIX. When are you going to reveal the November challenge? Hey there, Nancy! Wow, I can’t beliebe they’re running it so much! I guess because it’s the holidays. The November challenge pictures are coming in! We have an extra few days due to the holiday. My garage floor is painted, I’ve got the garage door opener installed, and now I must add a topcoat to the floor to gloss it up and protect it. Pics will be coming soon!! Wow what a great idea. This would be a big help so you don’t have all one color but different shades. Hmmmm I wonder if it would help my husband pick out matching clothing. Lol, it would definitely help out men who don’t know how to pick out colors, for sure! My favorite part is that the app gives color combo ideas! Love that!! This looks like a really nifty gadget! It started me thinking …… I often want to find complimentary colours to a piece of fabric I have or like. I wouldn’t necessary want to link it to a paint colour (I live in an apartment and we are not allowed to paint the walls, etc. However I can see using it to give ideas of complimentary colours when choosing colours for quilts or colour block projects …. Exactly! You don’t have to use it for paint colors, but for color ideas for fabrics! As for paint colors, it can be used for walls, but also for when you’re painting furniture and looking for color combo ideas for furniture and projects! It’s defintiely nifty!